The UN Office of Internal Oversight Services (OIOS) calls for, in a leaked audit report, "critical" corrective action on key aspects of the Fund's work. In fact, critical corrective action is needed to put an end to the incompetence and the cover up of incompetence by the CEO, by the Pension Board, and by our retiree representative organization, FAFICS/AFICS, which you will recall, wrote to OIOS on 1 June 2016, suggesting that the audit was a bad idea. We, the participants and beneficiaries -- in fact, the owners -- of the Fund have been failed by the Fund management, by the Pension Board, and by our retiree organization, FAFICS/AFICS, and it all happened with UN management apparently asleep at the switch. It's time for corrective action across the board, including new participant representatives (elections will be held next year). It's time for change. Enough is enough. 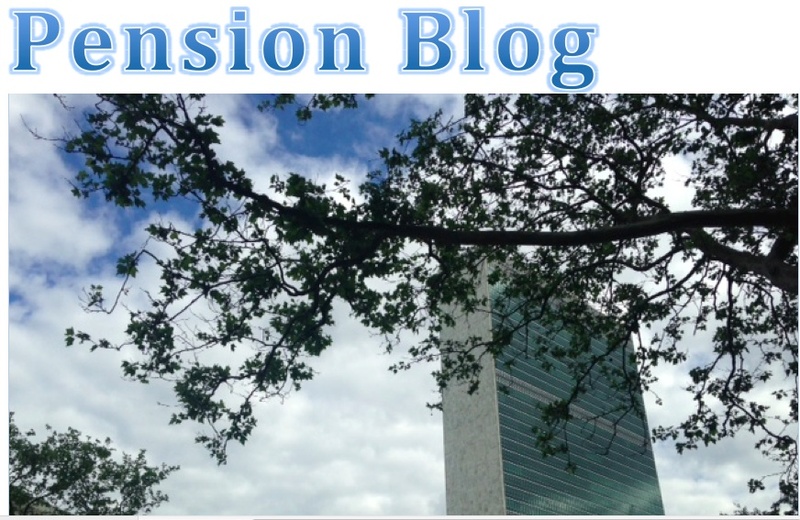 "A leaked draft OIOS report into the UN pension fund shows serious discrepancies between what the fund's management has claimed in public about the state of the fund and the reality, and finally reveals the truth as to why the pension fund failed to pay retirees on time. The report shows that payment delays were caused by the poor implementation of the new IT system called IPAS, lax management, and a six month delay between problems emerging and action being taken. Of little comfort to retirees, it further shows that the fund failed to answer emails from unpaid retirees after three months, and on some days answered as few as 2.5 percent of phone calls. It also casts doubt on attempts by CEO, Sergio Arvizu, to blame organizations for the delays, questions the data he published on the UN intranet that claimed the backlog was being successfully reduced, and questions the justifications he used to obtain approval from the fund's board for additional posts at a time when existing posts remained vacant and unadvertized. Given this, it is difficult to agree with the board's positive evaluation of IPAS and of the CEO’s performance, nor with its recommendation for more posts. It also calls into question the wisdom of the board's request for the fund to have its own financial rules and human resource flexibilities. The report comes at a time when the fund came under fire last week at the General Assembly in statements by the European Union, the United States and G-77, the UN's Board of Auditors and the UN Advisory Committee on Administrative and Budgetary Questions. Given the serious doubts cast on the integrity of the CEO, now is the right time to start the search for his replacement. Salient points in the report, with appropriate paragraph number, are below. 16.The fund did not correctly evaluate the risks in implementing IPAS nor did it consider appropriate backup. 17.The pension fund waited until February 2016 to take action on the payments backlog, six months after the problems had started. 20.The accumulation of cases took place during 2015 and therefore cannot be blamed on Umoja or downsizing of peacekeeping operations. 23.Several regular posts in the operations section that were key to processing retiree cases remained vacant during the period and some still hadn’t been advertized by the end of the evaluation period. The need for a temporary task force is therefore questioned. 30.Most emails from retired staff requesting assistance remained unreplied after two months (cases flagged as urgent) and three months (cases flagged as non-urgent). 31.Client service staff spent as little as 30 minutes a day manning the phone lines, with as little as 2.5 percent of calls from beneficiaries needing assistance being answered. 37.Cases completed within the target 15 days from receipt declined from 79% in 2012-13 to 39% in 2015 to 24% in 2016. OIOS disputes the figures provided by the fund. 44.There is doubt that the fund performed its role of secretary of the UN Staff Pension Committee, for which it is paid $21 million per biennium, in following up with UN organizations on incomplete paperwork. 47.The fund published misleading data on the UN intranet. It claimed on 6 June 2016 that there were 95 pending cases from newly retiring staff. The true figure was 1,368. 52.The percentage of cases taking more than 60 days to process after all paperwork was received increased from 2% in 2014 to 14% in 2015 to 38% in 2016. 54.A review of cases at MONUSCO showed that for five death-in-service cases, surviving spouses had yet to be paid 4.5 years later. 61.When the fund secretariat requested the board for funds for the temporary task force to clear the backlog, it misrepresented the nature of the work, attributing it to an anticipated downsizing in peacekeeping rather than in reality, the accumulated backlog from 2015. Further OIOS finds that the two P-5 positions claimed for the task force had functions unrelated to the task force. 69.Problems with the new IT system called IPAS, show 444 beneficiaries that were registered both as needing to be processed and completed at the same time. These beneficiaries might never get paid unless there is a manual sweep of cases. 72.There were 3,158 cases in IPAS where the status of the beneficiary was marked as paid, even though their case was concurrently open."